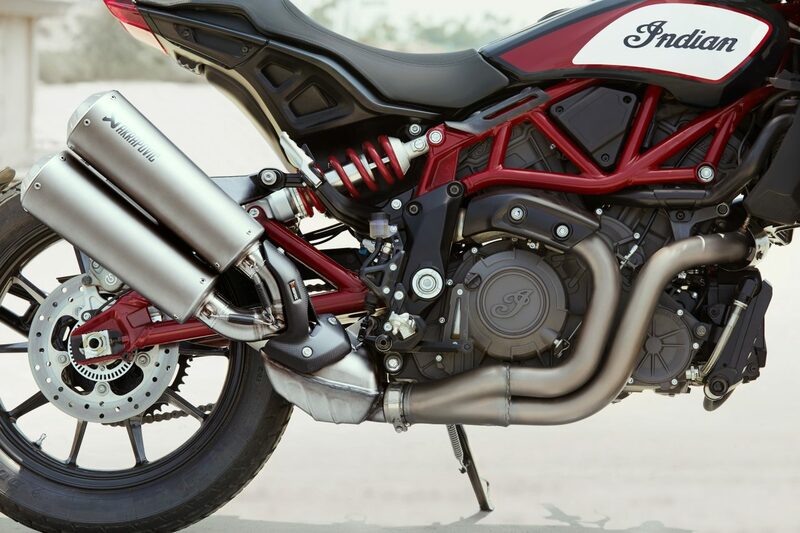 Indian Motorcycle has revealed that its first edition FTR 1200 S Race Replica will benefit from a performance Akrapovic exhaust as standard. Revealed at the Intermot bike show in Cologne last year, the FTR 1200 features a classy red and black colour scheme, contrasted now by the upgraded exhaust. The low-mounted exhaust is constructed of titanium and stainless steel, and features a black matte carbon-fibre heat shield. It’s a slip-on component which, though not affecting the bike’s performance figures, will give it a more sporting soundtrack. 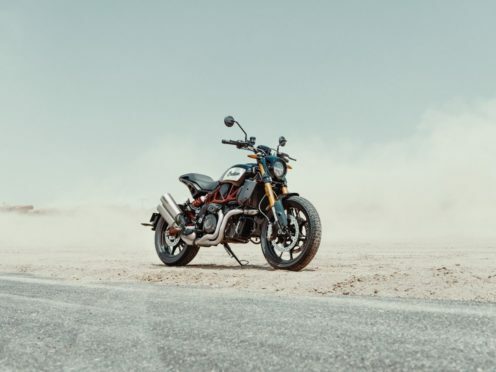 Grant Bester, Vice President and General Manager for Indian Motorcycle, said: “The overwhelmingly positive response we’ve received for the FTR 1200 S with the Akrapovič exhaust has shown what a dynamic combination they are. This exhaust is one of 40 customisation options available for the FTR 1200 S. They’ve been organised into collections, with buyers able to mix and match various components to create their own look. Typical methods get typical results. Meet Thor Drake. The offer adds the exhaust for less than it would cost to fit the part as an aftermarket selection. The FTR 1200 S features a 1203cc V-Twin engine with just shy of 120bhp. The standard FTR 1200 S Race Replica started at £13,499, whereas now with the exhaust fitted it comes in at £14,099. This represents a saving of just over £300 compared to optioning the £909.59 exhaust separately.